It’s that time of the year when 18 and 19 year olds all over the country are getting ready to take the university challenge and start what is arguably the best time of their adult life. It’s also the time when parents all over the country will be mourning their child’s departure from the family home and wondering where the last eighteen years have gone. But as you pack up your belongings and prepare to load the car, there are a few things to think about if you want a first in road safety. Whether you’re driving 30 miles or 350 miles, remember to prepare yourself and your car for the journey ahead. Firstly, pack your possessions securely. Loose objects can not only be distracting to the driver, but if he or she has to brake sharply, these unsecured items could fly forward and hit people sitting in front. Pack heavy items such as suitcases and boxes of clothes into the boot whenever possible. Any loads in the boot should be made as small as possible and positioned to enable a clear view. Keep heavy items low down. Don’t allow your belongings to obscure your view through the rear window. 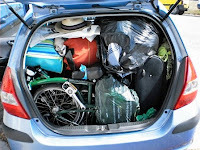 Always pack so that those in the car, especially the driver, have room to move. Feeling cramped causes stress and makes the journey less pleasant for both passengers and driver. Remember, a full car uses more fuel so keep an eye on your fuel gauge. Be prepared and fill your engine up so you don’t have to worry about running out. Also, it is a good idea to check tyre pressures before setting off. 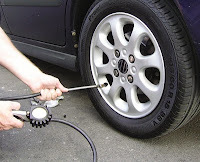 Tyres on a full and heavy car usually require higher pressures. Freshen up for "Freshers Week"
If your journey is more than two hours, stop off and take a break. If at all possible, share the driving especially if you intend to drive there and back in one day. The Good Garage Scheme wishes to thank IAM (the Institute of Advanced Motoring) for this week's blog advice. For more information on the IAM, visit iam.org.uk. 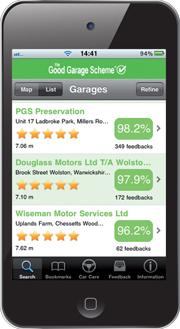 If you are unsure about checking any safety aspect of your car, visit your local Good Garage Scheme member who will be happy to check for you. Download the Good Garage Scheme app for peace of mind wherever you are in the UK.